I started taking tests last Thursday, 5 days before my expected AF. My first few tests were dollar tests, all positive. Surprised, I took a few more. I took 2 Walmart brand EPT tests; both positive. A few days later I took 2 FRER. Then a CB Advance that said pregnant 1-2. 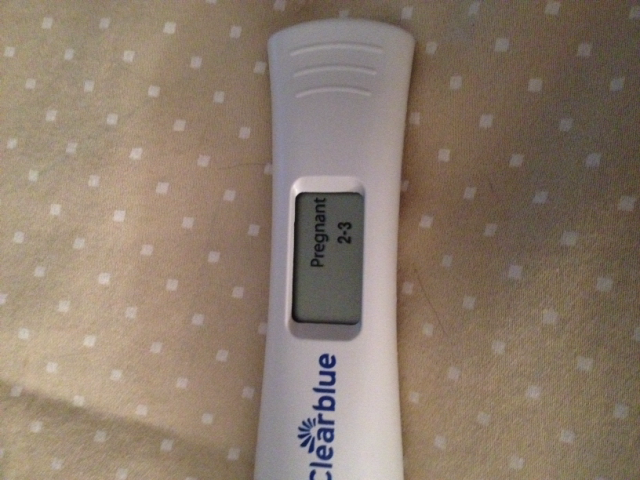 This morning I took my last Clear Blue Advance and it said pregnant 2-3. ​So now I believe it. This was our first month of trying and I have one tube. So excited and shocked with our quick success!